I am very behind in my postings. That’s because the activation / programming process is exhausting. It doesn’t help that I am in a city four hours away from home, and that I have to be at the hospital everyday for 8 a.m. for my programming sessions. 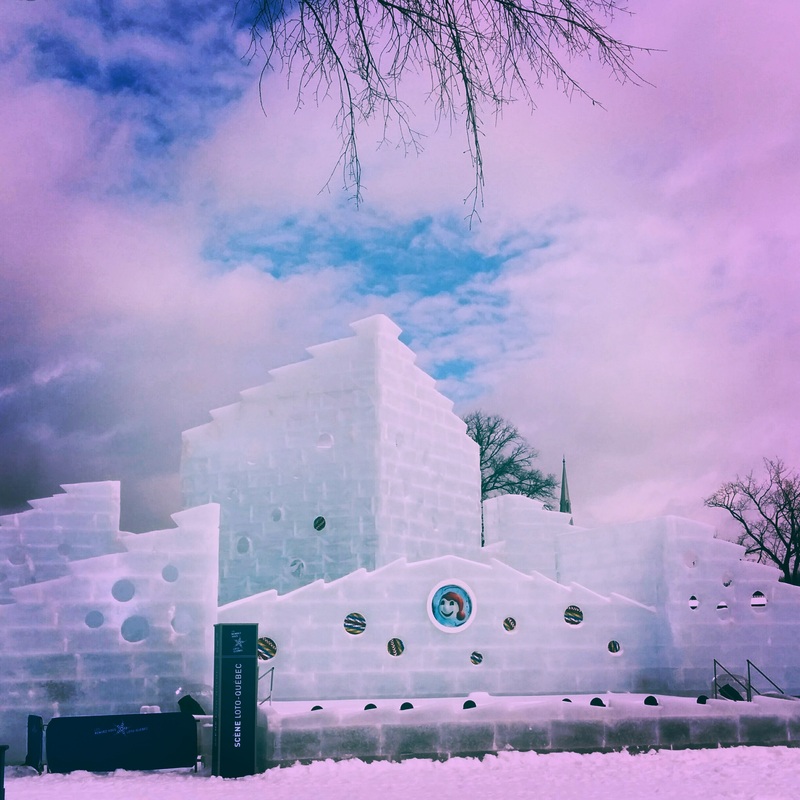 I am in beautiful Quebec City, where the biggest winter carnival in world is currently taking place, and I, who of course doesn’t like to rest, have been roaming about the streets in the historic village taking pictures of the many ice sculptures, including the famous Ice Palace that houses the carnival’s mascot. Tuesday, February 2 – I arrived at the hospital, l’hotel-dieu de Quebec at for my 8 a.m. appointment with Joanie, the audiologist whom I met during my first interview to become a CI candidate. We went over how things went since that first appointment. She asked me to report on how the surgery went and wanted to know how I felt after. I described what happened after the operation and how I was able to eat and walk right away. She took notes and put those in my file. I then saw a nurse to make sure that the incision was healing properly. She removed the tape that was protecting it and cleaned the area. Then, I went back to Joanie’s office, where she presented me with a big bag that looked like a giant laptop case, full of Cochlear stuff. “That’s all yours,” she said. But we won’t look at everything today!” Good, because there is a lot of stuff in that bag. She took out the processor, the piece I would wear behind-the-ear and said she would start programming it. She put it on my ear and hooked it to her computer. She gave me a chart that scaled the CI volumes from 0 (no sound to 10 (very loud). 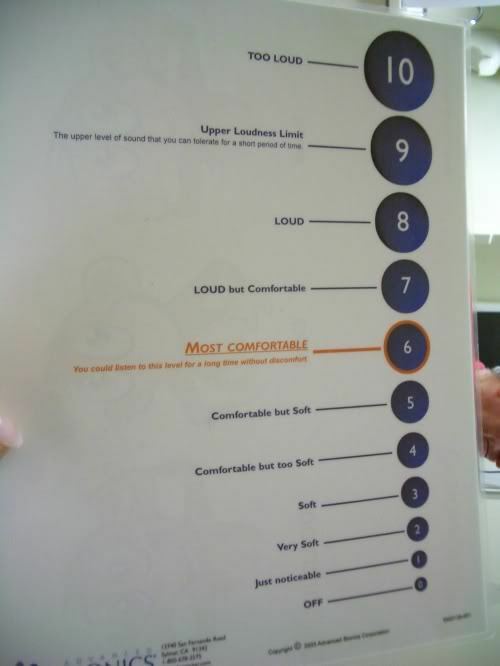 She explained that volume 6 means that the volume is comfortable. But, volume 6 is not the same for everyone. The goal today was to find my “volume 6” for each of the 22 electrodes. She sent a beeping sound from her computer to my hearing device. “Can you hear the beep?” I told her I could. She sent a high pitched sound to my new ear. After two seconds, she asked me where I thought the volume fell on the scale. It was soft, so I ranked it a 3. She tried again, and this time I ranked it a 4. She tried again, and I ranked it a 5. One more try, and I ranked it a 6. She kept going, just to be sure. She tried to bring it up one more time, and it was for sure a 7 because I found it a bit loud. Therefore, she knew that we had found the right 6 the second time. She went to the next electrode, which was a bit lower in pitch, because I explained in my previous post, the inside of the cochlea kind of works like piano keys. We did the same thing, finding the comfort level and bringing it up to make sure it was indeed the comfort zone. It really was like she was playing different piano keys, each one at a different distance from me until I told her to bring it closer to me or further from me. It took at least half an hour to go through all 22 of them and find the right volume for each one. Then she was ready to activate the device. She went back to looking at her computer and prepared some things. I heard some beeps, but I wasn’t aware that she had already activated it. Then, I just heard loud, high pitched, choppy noises. It took me a few seconds to realize I was hearing this because she was talking. But I couldn’t understand a word she was saying. You get the idea. Everything was incomprehensible, high-pitched, and fast. But she seemed pleased with that answer. She explained that the chipmunks should go away in the next few days and that there’s a lot of programing to do over the next two weeks. After all, all we did today was regulate the volume levels. I couldn’t understand every word she was saying, but since I now had sound, I could lip read a bit less as I could hear the tones / pitches / and duration of each word. When I spoke, my voice sounded very loud, but very croaky and low – it sounded there was a frog living in my throat trying to speak English for the first time. Then she showed me to put on and take of my processor so as not to damage it. It took me forever to find the magnet placement on my head, since the surgeon did a good job at hiding the site. The Cochlear Nucleus 6 came with two standard size rechargeable batteries, and one standard-sized disposable battery case. I wanted to order the compact sized ones, but they don’t last long. Compact ones last on average nine hours, while the standards ones last about 23 hours. It depends how long you wear your CI for and how much you play with the volume/programs – just like a cell phone. A disposable battery case holds two disposable batteries, which last about two days. 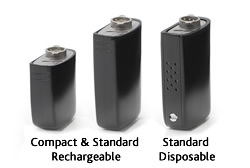 The rechargeable batteries need to be charged every night, and should be worn in rotation. They will eventually wear off after a few years, and I’ll have to buy new ones. Rechargeable batteries cost about $200 CDN. Many have asked about the cost of this operation. The surgery plus the device and all the equipments cost about $40 000 in all. The good thing is that in Canada, healthcare costs are covered by the government, so I did not have to come up with this huge amount. In the US, they do have to pay this much, hence most people try to get whatever they can with private insurance. As I left the hospital, I heard the sound become a bit clearer, but people sounded very choppy like the Minions. It was like that for most of the day, but I still did what the audiologist told me to do: Don’t turn it off and listen to as many sounds as you can. I heard an ambulance’s siren from far, but I had no idea what it was until I looked around and saw it; it sounded like a car alarm to me. When I got into the car, I heard the car flashers, but it took me a few extra seconds to realize what that sound was.